Until you get your own eBay store up and running, setting up a link to your listings from your website or blog is a great alternative. 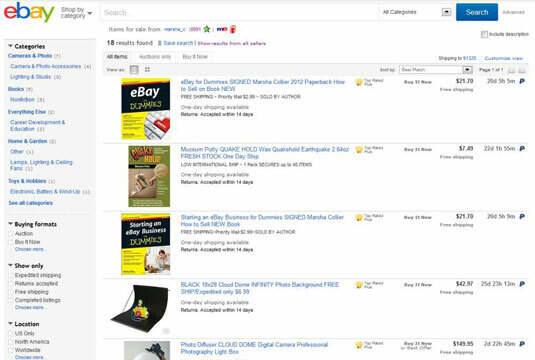 That way, visitors to your site can browse your listings directly on eBay. You can produce your own listing gallery without any fancy programs or auction-management software, and at no additional cost. Here is a sample of what you might see when you add your own link. You can also use this in your e-mails to customers to show them just what’s for sale at any given moment. This is a good way to make it easier on your customers. They don’t have to go searching for you. You bring the browsing to them.